New Zealand’s trout and salmon species are here to stay and every year they are evolving to become more a part of the unique fabric of this country, both culturally and genetically. In this second post in a two part series, Dr Jamie Steer says it’s to time recognise this and celebrate our wildlife – both new and old. You can read his first post on the evolution of trout and salmon in New Zealand here. Dozens of international studies in recent years have documented rapid rates of evolutionary change on time scales as short as a few generations. Such ‘rapid evolution’ has been observed in multiple taxa from microbes to vertebrates, including adaptive responses to human influences such as the development of antibiotic and pesticide resistance, and changes in body size and life history. For example, one study showed that 70% of 23 introduced plant species in Australia exhibited significant morphological change in the century since their introduction. Many species doubled or halved in crucial traits such as plant height and leaf area. For American science historian Matt Chew, these findings suggest that understandings of biodiversity that fixate on “intact” ecosystems or “pure” species may ultimately “conflict with the facts of evolution”. Indeed, some argue that introduced species create almost ideal conditions for evolutionary diversification. This occurs both in the species themselves and among the native species they come to interact with through competition, predation and, in some cases, hybridisation. While some existing native species may be driven to extinction in the process, the introduced species also change and ultimately diverge from their parent species in response to their novel circumstances and influences. What is more, these new (native?) organisms may be some of the most likely to succeed in a rapidly changing world. For example, in the United Kingdom native Spartina maritima – a species of chordgrass – has hybridised with the introduced S. alterniflora leading to the evolution of a new, reproductively isolated species, S. anglica. This new species occupies bare tidal mudflats which were not ecologically compatible with either parent species. Trout fishing. Credit: itravelNZ / Flickr. There should be little doubt that, just as our ecosystems in New Zealand are changing in response to the thousands of species we have introduced, the species within those systems are changing too. Kiwi salmonids (and I use ‘Kiwi’ deliberately) are changing in response to the local conditions of this country. It may be too soon to recognise new species, but at the very least we should begin to appreciate and investigate the ways in which these populations differ from their parent populations. The fact that humans had a hand in the matter is no sensible impediment to that. Historically, changes in trout morphology, when not toward bigger sizes or more enthusiastic fighting abilities, have often been deemed an expression of poor condition in New Zealand. More often than not, ‘healthy’ fish are those that are seen to look most like their ancestral progenitors – but on steroids. Fish that do not show those characteristics tend to be selected against by fisheries managers. However, in many rivers and lakes, smaller and currently less preferable fish for anglers may actually be more suited to the local environmental conditions. While perhaps not closely resembling their ancestors, they are the best suited for what is in front of them. While not suggesting that all waterways should be managed in this way, it is worth considering whether the salmonids in many lakes and rivers in New Zealand should be respected for the adaptations they are developing over and above those their ancestors brought to the table (to ring an admittedly awful pun in this context). 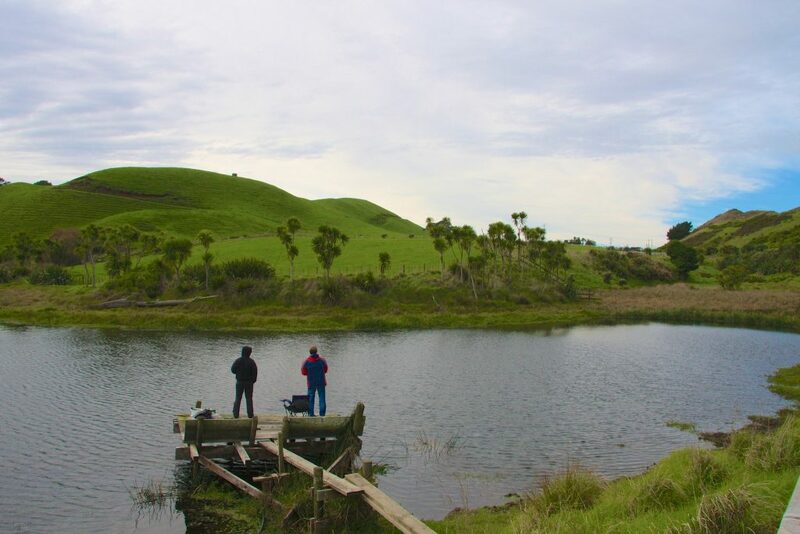 Many will recall that, for a time, our now world-renowned brown trout had fallen out of favour with anglers in New Zealand and it was only after fisheries managers highlighted their unique qualities that they rose to prominence as sports fish. Could the unique adaptations of other, sometimes smaller and less pugnacious, populations of wild trout and salmon be celebrated for their similarly unique characteristics? New Zealanders often like to highlight and enumerate the long evolutionary histories of our ecosystems and the species within them, with a particular emphasis on our Gondwanan heritage. However, many of New Zealand’s freshwater ecosystems are in fact not terribly longstanding, let alone Gondwanan. Rotorua, for example, hosts some of our most cherished lakes, but falls within one of the most geologically active areas in the world. 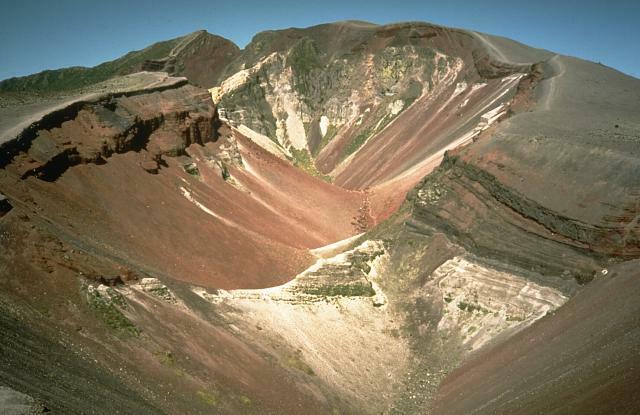 Mt Tarawera erupted in 1315 and 1886. All of the Rotorua lakes are volcanic in origin, being the remnants of magma chambers that collapsed to form calderas and subsequently flooded. The largest, Lake Rotorua, formed in this way only some 240,000 years ago. Later, nearby eruptions, such as the Hatepe eruption in 180 AD and those of Mount Tarawera in 1315 and 1886, would have had enormous impacts on the ecosystems of these lakes. Our introduction of salmonids to these areas, and the changes it has since precipitated, thus need to be considered in light of the area’s deeply turbulent ecological history. As environments in New Zealand, and elsewhere, are increasingly influenced in every way by humanity, suggestions that evolution must be limited to non-human processes and protracted timeframes are becoming progressively unsupportable. Clearly, we’re part of nature and that nature is, and for the most part always has been, in a constant state of flux. Unlike many conservationists, fish and game advocates have a long history of recognising and embracing their relationships with nature and the constant changes those entail. New Zealand’s trout and salmon species are here to stay and every year they are evolving to become more a part of the unique fabric of this country, both culturally and genetically. Let’s recognise this and celebrate our wildlife, both new and old, in all its wonderful diversity and nuance. This article was originally published in Fish & Game New Zealand magazine.